On a warm, dusty day on the Deccan plateau in April 1994, I joined Kailash Satyarthi’s Bharat Yatra, (Indian Journey), a group of 150 child labor activists part-way through its march from the southern tip of India to the heart of New Delhi, where it would arrive five months later. I didn’t realize it then, but I was witnessing the prototype of the movement that Kailash would take to a global scale four years later, and result in the biggest single step forward in history in the cause to abolish child labor. It was hard to visualize 24 years ago that these initial attempts to mobilize masses of people behind a broad social movement would build to this moment today—a 20th anniversary commemoration at the International Labor Organization’s (ILO) annual Conference in Geneva of the Global March, which ushered in ILO Convention 182 aimed at eliminating the worst forms of child labor. Build one he did. 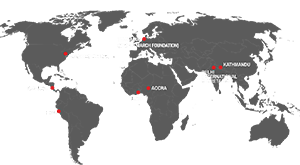 The Global March Against Child Labour was formed 20 years ago specifically to mobilize people worldwide to lobby for adoption of Convention 182. And finally recognizing his decades-long campaign to abolish child labor, the Nobel Committee awarded Kailash the Peace Prize in 2014. At the commemoration this week, attended by hundreds of delegates from governments, employers and trade unions, Kailash was joined by ILO Director General, Guy Ryder, representatives of workers’ and employers’ groups, and two very special guests: Basu Rai, a former child laborer who, as a 9-year-old, was one of the original marchers who came to Geneva 20 years ago, and Zulema Lopez, a former child farm worker in the United States, who is now earning a university student. 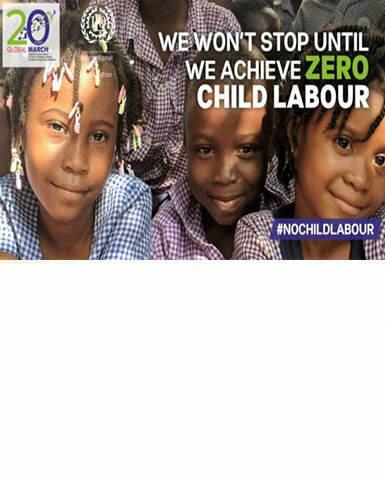 While there has been progress, much work needs to be done to eliminate child labor, as envisioned by the UN-adopted Sustainable Development Goals, by 2025. Timothy Ryan is the Chairperson of the Global March Against Child Labour and the Asia Regional Director for the Solidarity Center.